Congratulations to the fifteen pupils, who came along to provide some musical entertainment at the annual Parish Council’s Tea Party, which was held in our school. All pupils sang well and many also played their instruments; their performance was greatly enjoyed by all who came along. Some pupils were also able to show the visitors their school and their guided tours were very informative. Thank you, too, to parents/carers who arranged for their children to get to and from school - on a Saturday! 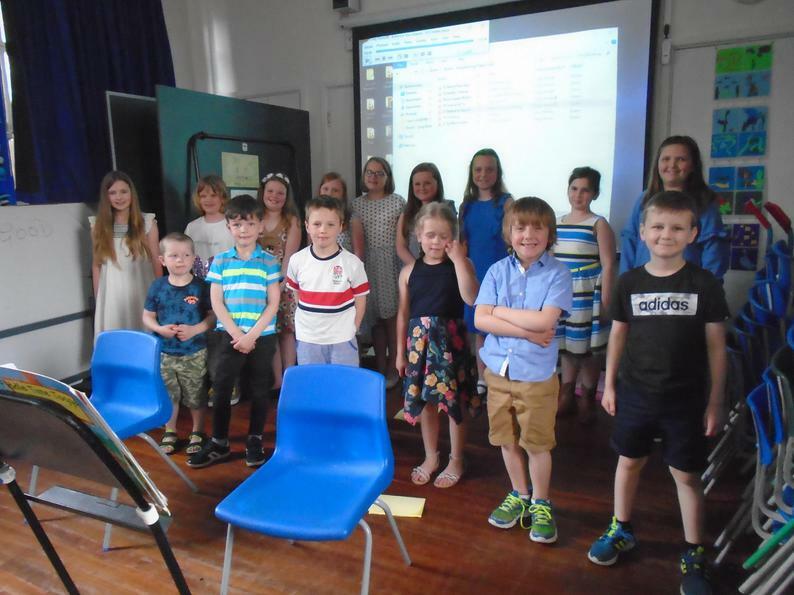 Well done to: Gabriella Lulu, Hannah, Phoebe, Amy, Ellie and Mary-Jane from Class 3; Isobel, Lottie and Grace from Class 2; Grace, Tyler, Ben L, John, Douglas and Ben G from Class 1 – a great effort!